The adrenal gland is located above the kidneys, and just like kidney, also has 2 glands: the right one and the left one. The left adrenal gland looks like half-moon and is adjacent to spleen; right adrenal gland is in triangular and adjacent to the liver. The adrenal gland is very important, but it is not a urogenital organ, but an endocrine organ. It can secrete four categories and dozens of kinds of hormones which would be delivered to body’s tissues and organs through blood circulation and exert physiological effects. Due to adrenal’s hidden location, it is difficult to treat. The traditional methods for adrenal cancer mainly are surgery, radiotherapy, chemotherapy and traditional Chinese medicine treatment. With the development of science and technology, minimally invasive treatment has become the preferred tumor therapy which has been accepted by more and more patients. Adrenal cortical cancer takes operation resection as the main treatment method. If without distant metastasis, resection on primary tumor as well as on adjacent lymph nodes shall exert good effect, and then perform pathological examination one by one. If with distant metastases, the primary tumor with metastatic tumors as much as possible should also be resected, as this can improve the effects of drug therapy or local radiotherapy. As primary adrenal lymphoma and metastatic adrenal cancer are sensitive to radiotherapy, therefore both the stereotactic radiotherapy and conformal radiotherapy can be adopted for them. Although chemotherapy can treat cancer cells, it still kills other normal cells or immune cells, bringing side effects to patients. At present the clinical has launched local chemotherapy which combines with patient's condition to conduct interventional regional perfusion of chemotherapy. 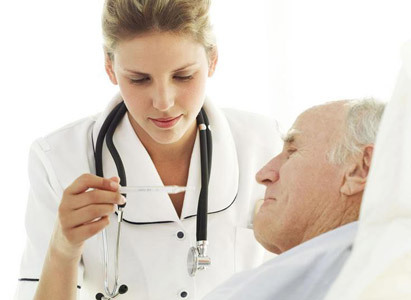 According to clinical manifestations of Modern Cancer Hospital Guangzhou, treatment is guaranteed, at the same time, patient’s discomforts have been alleviated greatly. For these tumors that operation cannot remove, or recur& spread after operation, minimally invasive treatment shall be adopted. (3) Radioactive seed implantation: implant radioactive 125I particles into the tumor, as 125I particles can emit continuous gamma rays in short distances to kill tumor cells, so that achieve the function of internal radiation therapy for the tumor. The treatment is conducted through oral take or injection; Chinese medicines not only can kill cancer cells and destroy tumor, but also adjust the balance of yin and Yang and strengthen body resistance, in the end eliminate survival environment of cancer cells and achieve the therapeutic effect. Modern Cancer Hospital Guangzhou reminds that adrenal cancer is a kind of complex disease, and its pathological injury caused by malignant tumor has the character of diversity. Single application of a technique in the treatment of adrenal cancer can hardly obtain good therapeutic effect; only combined applications of a variety of technologies to complement each other, maximum efficacy shall be realized.